Within many contemporary Witchcraft traditions, the art of magic is intertwined with the energy of the elements. This book shows you how to find the magic within yourself - to learn, experiment, and strengthen your skills as you discover or renew your connection to the source of your power. 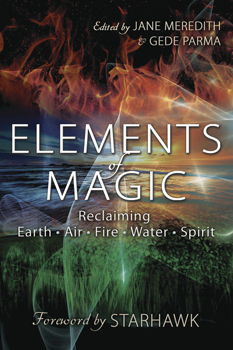 With brilliant contributions from members of the international Reclaiming community - including Suzanne Sterling, Rose May Dance, Gerri Ravyn Stanfield, and Willow Kelly - this book provides spells, exercises, practices, and perspectives that are taught in Reclaiming's foundational class, Elements of Magic.